Kitty Love had an outstanding Invincible Spirit first foal which met with an accident in the paddock and unfortunately had to be put down. 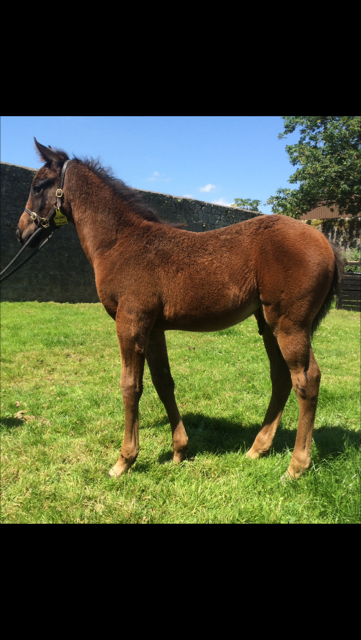 We sent the mare back to Invincible Spirit and again she has produced another good colt. With the Sadlers Wells/Invincible Spirit cross working so well we look forward to producing a top quality yearling here.